GL32 caps and closures for glass media bottles with a GL32 thread finish. 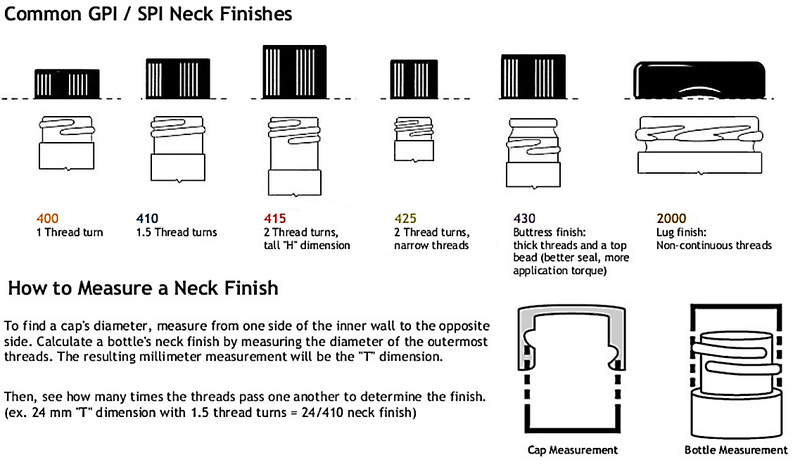 Carefully review your container's threads before selecting a cap even if you know the first measurement; not all 32mmcaps will fit a 32mm opening, due to the differences in thread types between manufacturers. GL32 is a specific closure design and will only fit GL32 caps.